Ground floor in Els Hostalets. Planta baja techo libre en els hostalets!!! Flat in Els Hostalets. Oportunidad en colegio santa mónica / jacinto verdaguer!!!!! 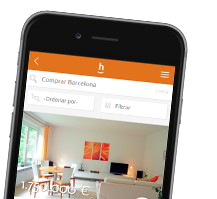 The best listing of homes in the district of Els Hostalets is on habitaclia.com. habitaclia.com property portal offers you the most complete classification of homes of the district of Els Hostalets.